As most of you might know, Blackberrys have a bad reputation of sever radiation emission. I'm a guy (and not a business guy) so I usually keep my cellphones in my right pocket. 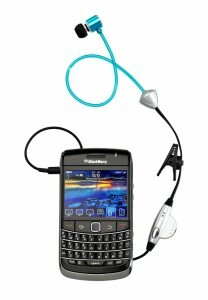 But after getting this Blackberry Curve, I'm afraid to continue with that habit. Is there any good solution to this problem? I dont usually carry a bag around, or else I would keep it in my bag. And I dont think I would like clipping it on my belt. According to a just released study done by the Environmental Working Group (EWG), the BlackBerry Curve 8330 is #4 on a list of phones with the highest levels of radiation. The group says they tested radiation emissions of over 1000 phones marketed in the United States. “We would like to be able to say that cell phones are safe,” said Olga Naidenko, Ph.D., EWG Senior Scientist and lead author of the study. “But we can’t. The most recent science, while not conclusive, raises serious issues about the cancer risk of cell phone use that must be addressed through further research. In the meantime, consumers can take steps to reduce exposure.” This study is particularly disturbing when you consider we just recently detailed another article that clearly states that cell phone radiation emissions cause brain tumors. Well. If you don't want it in your pocket and you don't wanna carry a bag or wear a clip I guess your last choice is carry in your hand or don't carry. Bluetooth headset will help with radiation to your head.